Salam LADC was founded by Joseph Matta in South Lebanon, as a response to the war in Lebanon that took place in July 2006. The main focus of the organisation was on strengthening the dialogue between displaced people and their host communities. Over the years the focus has been to provide projects that enable sustainability and tools for the local community. Youth teams, emergency response teams and environmental teams have been created and trained in a multitude of municipalities across the country. The aim being to foster a sense of ownership amongst communities over their shared development, while providing the tools and expertise needed to make it work and be truly sustainable. In 2009 Salam LADC was officially registered in the Ministry of Interiors as a non-profit association. In January 2016, Martin Kvernbekk and Igor Kubat came to Lebanon after having volunteered in Greece, Turkey and the Balkans for several months in relation to the large scale refugee migration into Europe. After realizing the extent of need for ongoing humanitarian assistance in the countries neighboring Syria they came to Lebanon with the idea of facilitating the arrival of international volunteers to assist the efforts. At the time, the concept of international volunteers working within Lebanon was relatively unknown. Martin and Igor began by initiating an online project to channel funds and awareness towards vulnerable communities in Lebanon. 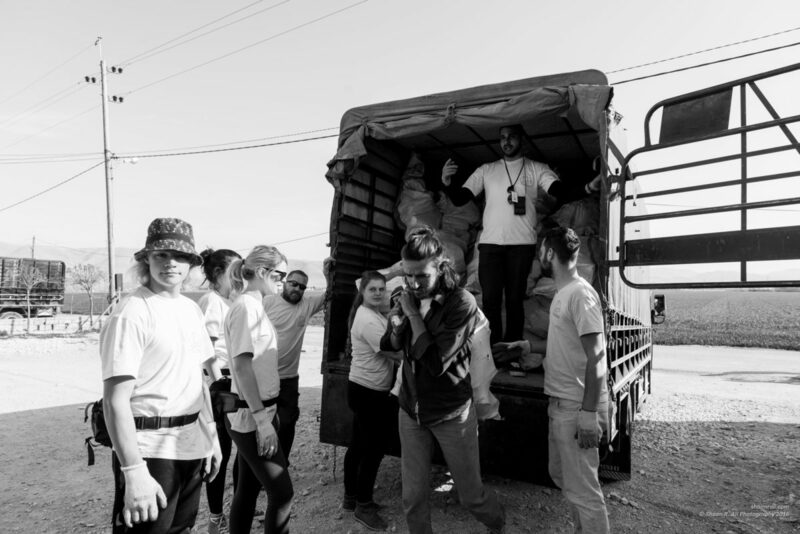 Being able to facilitate international volunteers was the objective, and after a few weeks a close friend introduced them to Joseph Matta, Salam’s director. The vision of Salam and that of the volunteer program were similar, and so Joseph, Martin and Igor joined forces, merging the international volunteer platform with Salam LADC. Two years later, more than 450 international volunteers have made the journey to Lebanon. In addition, Salam has expanded with four international supporting branches, and more than 20 local members of staff have been hired to ensure the quality and sustainability of the projects. With immense gratitude towards all the people who have taken part in the journey and work of Salam LADC so far, the goal of continuing to be able to support the most vulnerable populations and promote dialogue between communities still stands strong. Lebanon is one of the smallest countries in the world, bordered by Syria to the North and East, Israel/Palestine to the South and the Mediterranean Sea to the West. While small in area, the country has an incredibly varied demography, with an amazing diversity of religion, culture and nature. With a tumultuous recent history however, the country has struggled to develop and prosper in many regions, with a highly uneven distribution of wealth. After a long civil war that ended in 1990 and multiple invasions from Israel since, more than 1 million Lebanese were already living below the poverty line before the Syrian refugee crisis began affecting Lebanon from 2011 onwards. Today Lebanon is the country that hosts the highest number of refugees per capita in the world. 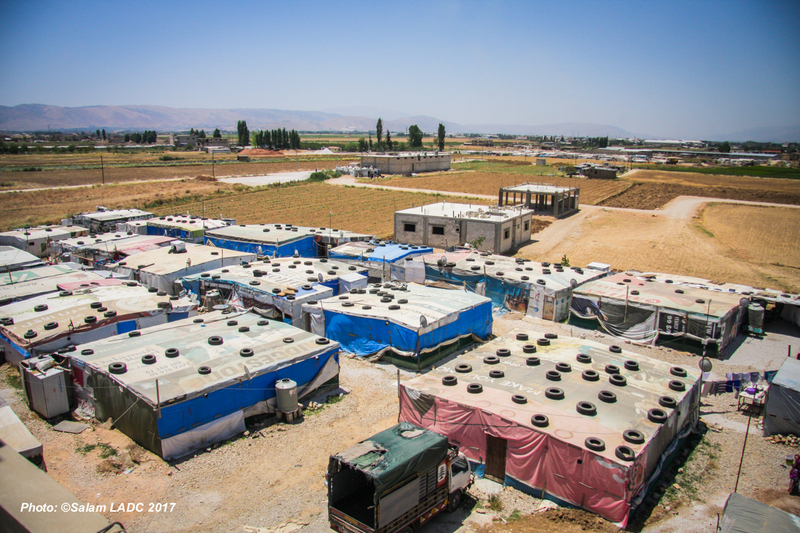 The highest concentration of Syrian refugees in Lebanon are found in the Bekaa Valley, which is where Salam decided to set up its headquarters. 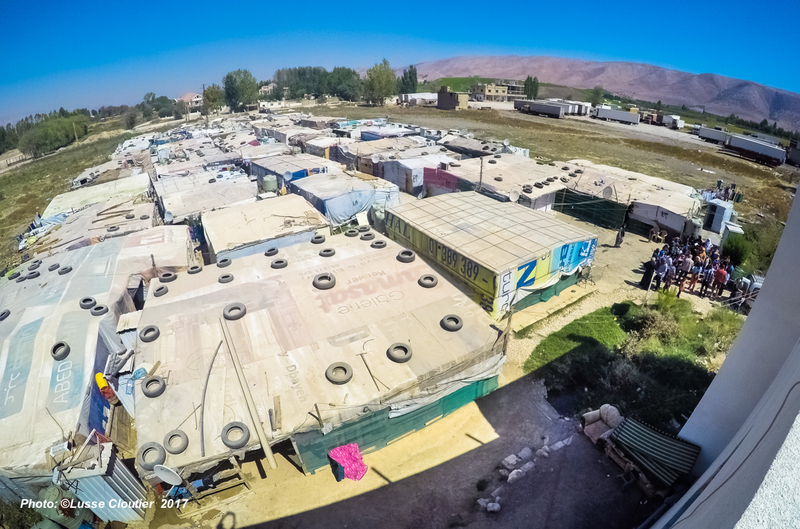 69% of all informal refugee settlements in Lebanon are located here in the Bekaa.